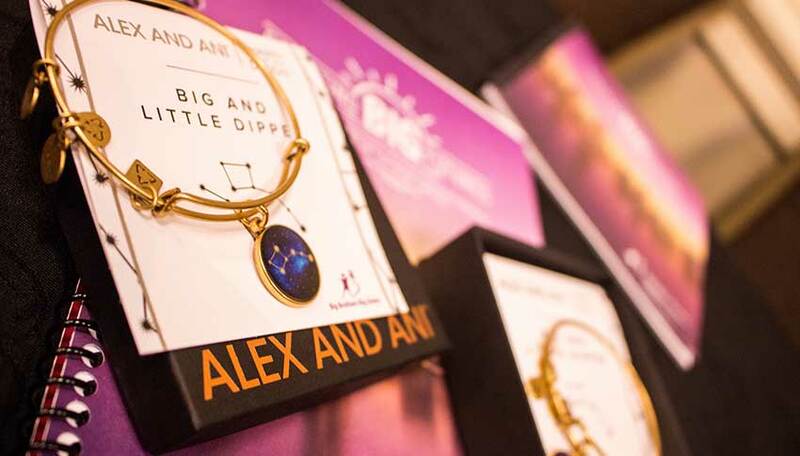 To kick off Bigs in Blue as a national Big Brothers Big Sisters initiative, BBBSA and BBBS Lone Star hosted a press conference in Dallas in March. 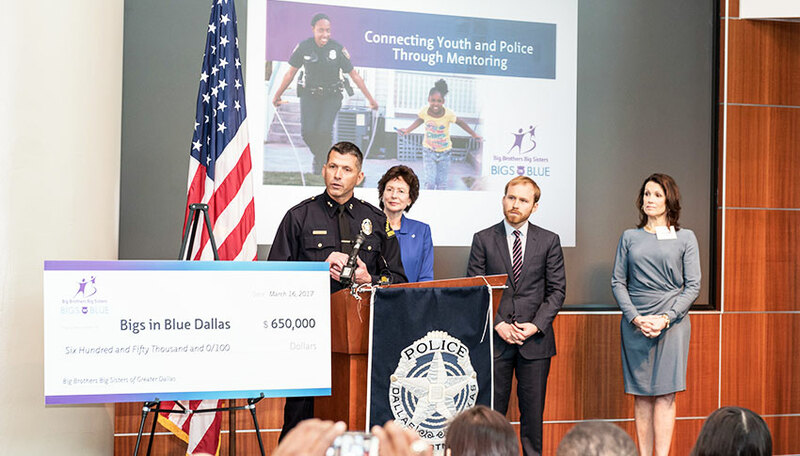 Assistant Police Chief Paul Stokes, BBBS Lone Star CEO Pierce Bush, and BBBSA CEO Pam Iorio spoke about the need for Bigs in Blue in Dallas as well as the incredible response the program has already received. BBBSA has been encouraging its affiliates to seek matching funds for grants, and the Dallas community has stepped up to do much more than match the grant awarded to Lone Star for Dallas’s Bigs in Blue program. The Crystal Charity Ball, a Dallas-based charity that supports several causes each year, raised $500,000 to bring Bigs in Blue to Dallas. As a result of the phenomenal support from the Dallas community, BBBS of Lone Star has set a goal of making 300 Bigs in Blue matches in Dallas. Assistant Chief Stokes said he would like to be the first Big Brother in the program.